Christina Lodder has produced a new translation of Constructivism, Alexei Gan’s utopian art manifesto. 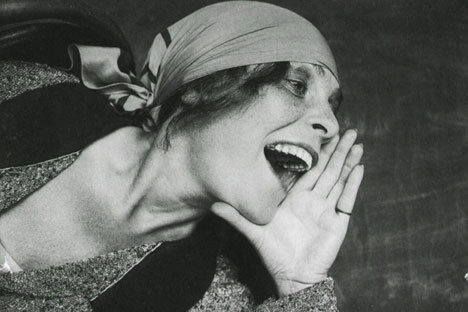 “Gan is one of the unsung heroes of constructivism,” Ms Lodder, a specialist in Russian modernism and lecturer in the history of art at the University of Kent, writes in her introduction. He formulated new ideas, “which he was convinced would ultimately lead to a better world”, and argued for them as “agitator, publisher, activist and promoter”. Constructivism explains the movement’s aims, says Ms Lodder, “elaborating its principles, justifying its positions, relating it to socialist theories of art and trying to promote its acceptance by the government”. This new English edition of Gan’s Constructivism preserves, so far as possible, the original typography and layout with its slanted underlinings and bold, capitalised slogans. The volume combines the aesthetic qualities of a historical artefact with the academic overview of Ms Lodder’s informative introduction. “Meaningful artistic work will emerge under conditions of purposeful activity,” wrote Gan. He attacked traditional art as bourgeois and championed instead “the first culture of organised work and the intellect”, constructivism. He helped to forge links between art and architecture, photography and printed texts. Ms Lodder describes Gan as “a cultural and political activist, an eclectic and talented figure, who had a finger in a whole range of avant-garde pies. “Gan was one of the first theorists to write about post-revolutionary architecture and criticise the government’s current cultural and artistic policy,” she says. Ms Lodder is something of a pioneer herself when it comes to bringing these artistic experiments to a wider audience. She first became interested in Russian art in 1968, when she saw Vladimir Tatlin’s flying apparatus, Letatlin, being reconstructed by two young sculptors in Newcastle. “The elegance of the structure and the ideas that prompted its creation fascinated me,” Ms Lodder says. She tried to learn more about Russian art in general and Tatlin in particular, but found that “very little detailed information was available in English at that time”. Her desire to know more and understand the whole context of Russian art led her “to learn Russian, study in the Soviet Union, and write my book, Russian Constructivism” (published in 1983). Ever since, Ms Lodder has been researching and writing about the history of Russian creativity, especially “the extraordinary period of the 1910s to the Thirties, when artistic experimentation often went hand in hand with revolutionary developments and radical ideals”. She is the author of several related works, including exhibition catalogues, and is considering future translations of Russian books about the history and theory of art. Vladimir Tatlin’s work still fascinates Ms Lodder, nearly half a century after she first encountered it. Tatlin’s 1920 Tower or Model for a Monument to the Third International “acted as a paradigm of new possibilities”, she says, “indicating how art, sculpture and architecture could be synthesised and harnessed to utilitarian, social and political objectives”. Tatlin’s three-dimensional constructions made with ordinary materials began a “reassessment of the nature and role of art that ultimately led to the emergence of constructivism”.